Ever since I have started using a credit card I have basically had the same score the entire time. What are some ways and tips to raise my credit score? 1. Don't payoff your monthly CC bills each month. If you want to save in interest but also bring up your Credit Score (CS), then pay off all except $1 each month. Carry over that $1 each month is a sure way of showing you are a Credit Worthy (CW) person. Paying off the entire balance each month will show up as no credit history. You can also carry over more from month to month to let them earn a bit more interest, but there is no relationship between this and raising your CS. 2. Watch and control the percent of credit you used relative to your Credit Limit (CL). The whole idea to bring up your score (or not lower your score) is to keep this ratio as low as possible. If you have good income which increases yearly, consider asking your Credit Card Issuer (CCI) to increase your CL. This has the effect of lowering your % used credit. However, having higher CL may also drops your score because the logics is that if you have a higher CL, you may be prone to using it carelessly so the risk of not able to payback or pay back on time is higher. 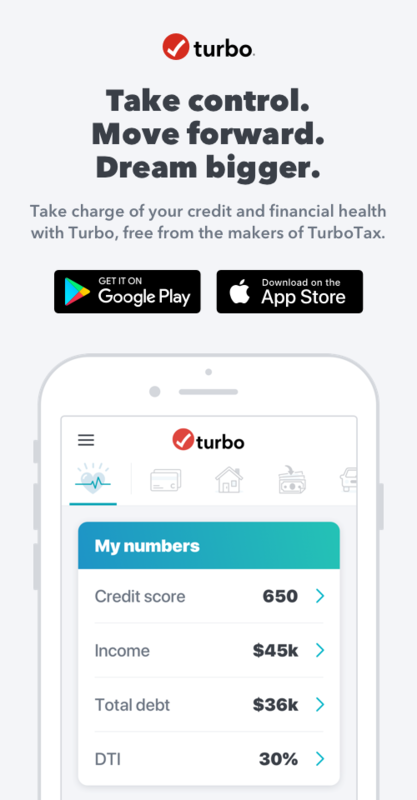 If you ask for a reasonable increase of say $3,000 and your monthly credit usage is says $2000, this will not likely to hurt your score (may be one time when you get it, but it will comes back up within 1-2 quarters (3-6 months). 3. Don't open too many CCs. 3-4 cards should be ok.
4. Don't arbitrarily close any of your CC; especially those that have high CL and also have been held for a long time. 5. If you have CC with high CL and you don't use it for a while, and have zero balance or negligible balance, call CC and ask them to lower your CC. This can help bring your CS up. 6. Try to use your CCs more often, and be sure to pay on time each month at least between the minimum payment and the total balance minus $1. Your CS should go up in 3-6 months if you apply the intents herein. When I went to buy my car, the finance guy there gave me a few tips that really helped my score. 1. I was going to pay a big down payment up front. He pointed out a VERY low interest rate (1%) at the dealership and encouraged me to keep my money liquid, and build up my credit by setting a monthly payment that I could comfortably pay a bit extra on each month. (Even just paying $5-$15.00 extra makes it look like you can easily handle your bills. 2. He told me to put EVERYTHING possible on my CCs and pay it off in full each month (I know- this is a bit different from other advice here to carry over a very small amount). 3. He mentioned the idea of not opening too many CCs and try to keep them active if possible- and set up autopay so I don't forget to pay them or be late with payments. 4. He recommended doing a credit freeze to protect myself from credit fraud. Its more trouble if you are thinking about opening a new credit card or making a large purchase, (because you have to unfreeze your credit) but it adds a sense of security in this age of credit fraud. 6. I thought about paying off a big chunk of my student loan but when I researched it, someone mentioned that having a long-held loan that you are making regular payments on is very good for your credit, so I decided to keep doing that for now. Payments are pretty low and interest rate could be worse, so it's OK. I would say I did all this for about a year now and my credit score has really gone up. Out of three scores, one was REALLY good. I am in a MUCH better position should I decide to buy a house or condo at this point. Ive also been surprised to find out how many employers are checking credit history as an indicator of employee reliability. @KhongPhuTu, I loved all of the information you provided and mentioned that you used the information you shared. It would be great to hear more about your credit card debt story. What was the factor that made you decide to tackle your credit card debt and focus on raising your credit score? How much debt did you have and how long did it take you to pay off? Thanks so much for sharing your experience with raising your credit score. I'm even more impressed that the finance person was giving you tips. I've never heard of that before but great that he was willing to give you specific advice that helped. It would be great if all car finance professionals did the same thing. I'd love to hear about about your story and the impact of all of the changes you made? What was your credit score originally when you bought your car? And how much were you able to raise it after following each of the steps? Congrats on being so diligent with improving your credit score and great to see that there's been some additional benefits, like with future employers, that have been an added plus with raising your credit score. The finance guy who gave me such good advice was at a VW dealership where I had -had huge problems of involving a lack of integrity on their part. I had to file a complaint with the BBB and they were VERY eager to make me happy after that which COULD have played into the extra helpfulness. Also, the guy was young, enthusiastic and had fairly recently graduated from college so he was very idealistic, high energy and seemed to genuinely enjoy educating people. My credit score prior to that wasn't bad as I recall, it just wasn't good and wasn't moving upward no matter how well I paid my bills on time over the years. That's what made me really listen to him when he shared his advice. I knew there must be tricks that would move the needle up on my credit score and it worked in my case. I recently checked and one score in particular was quite high while the other two seemed very good too. I dont have numbers off the top of my head. The impact on my life so far hasn't been huge yet. That dealership gave me a 1% loan on my car even with just decent credit which surprised me. The benefit of that loan was its obvious low cost while allowing me to stay more liquid and continue to build better credit via over -payents paid on time. In the future, I am thinking about buying a house or condo and I suppose thats where the real savings could come into play. I did apply for a mortgage pre-approval and was given a loan amount that I think is semi-insane , and not quite at the lowest interest rate I was hoping to get, so maybe I have a little more work to do in my credit building. Also, its nice to know that future employers who may check my credit will not be ruled out. @pancakes, I'm sorry to hear that you had such a horrible first experience with the dealership but sounds like the second finance person made up for it with the advice that ended up improving your credit score. Either way, getting a 1% loan for a care is a huge accomplishment. Same thing with getting a mortgage pre-approval. Even if you don't end up purchasing a house that expensive it's a good feeling to know that your credit score is helping you out. Do you have any other big financial goals in the near future? Can you advise me to do how can I Raise me credit score!!!!! Give me some tips on how to raise my credit score.